“I believe that God has put gifts and talents and ability on the inside of every one of us,” observes evangelist Joel Osteen. God certainly used the situation my daughter Sharon found herself some eight years ago. The evidence for this is seen in next Thursday’s SPCK book launch in our Ministry Centre. In fact, I only really heard the full story from her interview on Premier Radio last month – which I imagine is the norm for most parents! For in the space of just 14 months Sharon had three daughters, even with the active support of husband Andrew a daunting prospect. Suddenly her ministry as an ordained Old Testament academic came to an abrupt stop. All parents will recognise this situation. As soon as your first child arrives everything radically changes. Even a trip to your local Morrison’s becomes a major undertaking (and an opportunity – if only for a few fleeting moments – to encounter the outside world). In order to just to survive Sharon started to try to combine her two worlds – academic theology and being mother to three very active toddlers. The outcome became known as Diddy Disciples. She recalls: “Worshipping with babies and toddlers began as a survival tactic, but it soon became a passion. 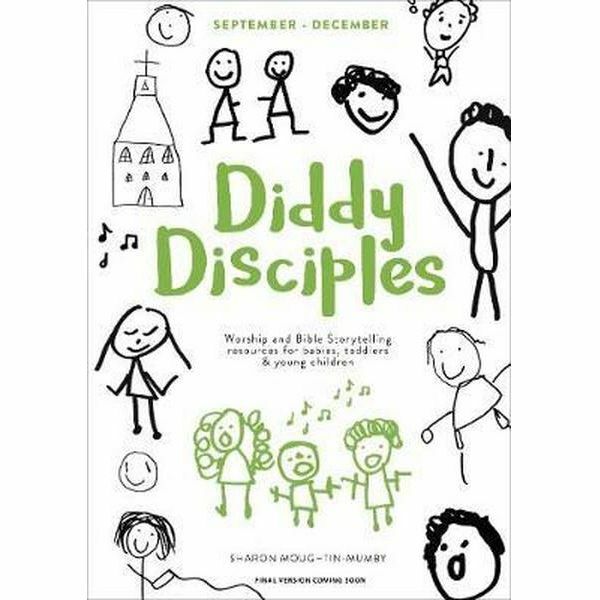 Such was the success of this venture that Sharon was encouraged to produce a book – Diddy Disciples. The first of two volumes was launched with great fanfare at St Peter’s last June; the second is being launched next week here in Aughton. Now an Amazon best-seller it has been endorsed not just by Archbishop Justin, not just by Richard Peers, our Diocesan Director of Education (who incidentally will be speaking at Thursday’s launch) but far more importantly, our very own Charlotte Chappell whose comments grace the preface of volume one. But this is how God works – he uses whatever situation we may find ourselves even to launch a ministry. Like going to prison. If you are old enough you will remember like me the storm that was Watergate with one of the chief protagonists, presidential Special Counsel, Charles Colson. His experience of being dispatched to federal prison led to his conversion to Christ and then to him founding the Prison Fellowship International. Alpha in Prison has a similar pedigree with the story of Paul Cowley, expelled from school and living in a squat and then in a prison cell for petty crimes. Through attending an Alpha course he became a Christian. God was then able to use his experience for Paul to lead this very successful Alpha ministry. . But it doesn’t have to be a difficult or desperate experience for God to use. 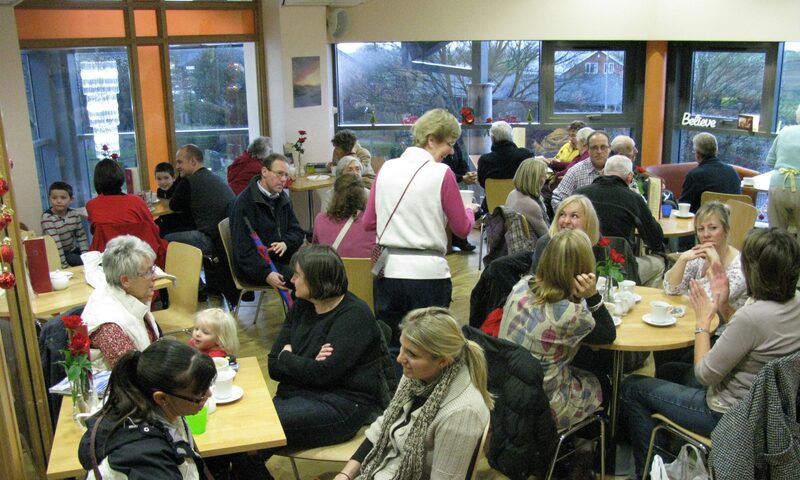 When serving at the Good Shepherd in Heswall in the 1980’s I became part of a small support group of curates which included Peter Harris from St Mary’s Upton. I had a huge regard to Peter. He had a passion for bird watching and I remember how he would stake out some hide near the River Weaver at some unearthly hour. From his occasional comment I had the sense that his heart was not in parish ministry. And so with the support of church leader John Stott, Peter and Miranda moved to Portugal to establish and run a Christian field study centre and bird observatory, A Rocha (which is Portuguese for ‘the rock’. It seemed to me at the time a huge step of faith but today A Rocha has become a leading international network of environmental organizations with a Christian ethos. God can take our situation, especially if we feel trapped or just unsettled, and make it work for his Kingdom. And more, he knows our passions – for the simple reason that is how he made us. Whether it is understanding some difficult Hebrew texts or lying for hours in a damp hide, he will use for his glory. However, sometimes he needs to give us a push. So as this new year begins, be resolved to respond to whatever prod the Holy Spirit may give you. Previous PostPrevious When your birthday is overwhelmed by Christmas. Next PostNext When words shock.